The goal of the External Advisory Board is to offer advice and assistance to the Consortium and to ensure that the decisions taken by the General Assembly during the technical specifications and during the developments of results, are the most convenient to maximize the project’s impacts. To that aim, the board is composed by experts outside the Consortium that provide innovative advice and a dynamic perspective thanks to their knowledge and expertise in the field. 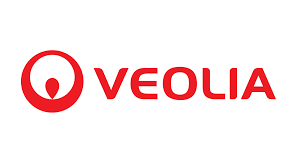 Project Manager – District Energy in the Technical & Performance Department of Veolia. He will offer his global point of view regarding the characteristics, limitations and market of DC systems at world level. He is an expert in developing, construction and operation of district Cooling Networks, chillers & Heat Pumps. Technology and Strategy Department in Schneider Electric. His contribution will be focused mainly in the WPs where the building simulation and the development of predictive controller for consumption side is dealt with. Professor at Masdar Institute of Science and Technology. He will provide his expertise and innovative point of view regarding DC modelling approaches. Senior Business Development Officer at Daikin Europe N.V. He will provide an industrial perspective regarding HVAC systems and energy consumption in buildings. He is an skilled environmental engineer who has a strong project management background in energy generation projects (Oil & Gas, Renewables).